The new age technology combined with less tolerant temperaments has made the workplace vulnerable to complex challenges. We focus on creating the camaraderie that goes beyond team games, increase squad spirit, and improve solidity. Our team-building activities fused with the power of play foster authentic meaningful relationships. 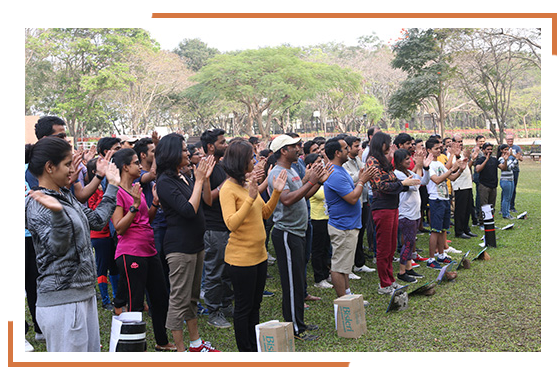 At a basic level, team activities provide opportunities for socializing, networking, and informal interaction. 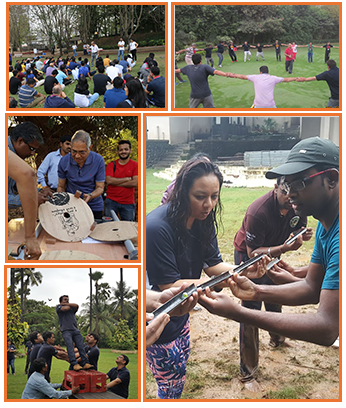 At a deeper level, good team building also impacts team dynamics by applying proven principles of human behaviour, bringing key messages, learning concepts, and performance measures to life. Outbound or Indoor activity based. Many variations including treks, survival camps, simulations, and more are possible. 2 hours to 6 hours or multi day events. READY FOR A THRILLING AND INSIGHTFUL EXPERIENCE?